then sit back and browse the Homeschooling Gateway to the Internet! This site, BestHomeschooling.org, contains no ads or affiliate links. Any references to resources by writers or site owner are simply informational. Alfie Kohn on "How Not to Get Into College"
When Education Becomes Abuse - an article by Dr. Raymond S. Moore and Dorothy Moore on "A Different Look at the Mental Health of Children." "Students Don't work - They Learn", by Alfie Kohn, well respected educational critic and author of Punished by Rewards and other books. Articles about teaching, by Alfie Kohn: dozens of wonderful articles on various issues of Teaching, by this well respected educational critic and author. Tom Magliozzi, MIT engineering grad, of National Public Radio's "Car Talk," on education and the study of math! Multiple Intelligences - an article on their importance, by Michael K. Meyerhoff, Ed.D. The Underground History of American Education, by John Taylor Gatto - Online book! "Edutainment? No Thanks - I Prefer Playful Learning." Michael Resnick, Professor of Learning Research at the MIT Media Laboratory, studies how new technologies can help children learn new things in new ways. M.I.T. Mathematician Seymour Papert on "Child Power: Keys to the New Learning..."
Dr. David Elkind: "The Reality of Virtual Stress"
Robert Kiyosaki Chapter One from "Rich Dad, Poor Dad"
Parent at the Helm - Popular author, Linda Dobson, edits this extensive blog supporting of the joys of homeschooling. Growing Without Schooling magazines online - Home Education Magazine's archive of past issues of John Holt's historic, yet still relevant, resource. FUN-Books: A delightful catalog of carefully chosen books, games, & other materials for producing life-long learners - covers a wide spectrum of subjects. A powerful film: The Tragic Consequences of Drugging Our Children. Why are epidemic numbers of children being given mind-altering drugs for things that can be treated with diet and lifestyle? The Feingold Program - a test to determine if certain foods or food additives are triggering particular symptoms. Differences vs. Deficits, by Michael K. Meyerhoff, Ed.D. Article: Dyslexia - A Gift? We regret that, as a noncommercial site, we do not have the resources needed for processing link requests. Encouraging words from a mom whose son was a late reader. Some important, and perhaps surprising, observations made along the way - by the mom to five grown unschooled kids, and co-publisher for over 20 years of Home Education Magazine. Some important considerations when thinking about methods and styles of homeschooling. How unschooling is like organic gardening in producing self-sufficient learners with deep, strong roots. A thought provoking examination of current and tradional educational notions - including the idea that certain things need to be done just because kids "better get used to it." Observations and suggestions for creating a society in which every child is respected and nurtured toward the joy of self-discovery. Encouraging advice from the mom of five mostly grown homeschoolers on how to make the most of the preschool years for the most successful outcome. A guide to the important early years - with links to important information, resources, and delightful age appropriate activities. In this must read book excerpt, an award-winning kindergarten and nursery school teacher of 37 years experience offers a historical perspective with a great depth of wisdom on the nature of young children and their unique needs. 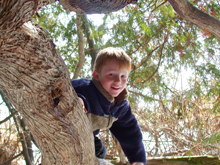 Powerful insights on ways in which to nourish and encourage the natural learning assets of young children - from the author of Homeschooling the Early Years and other popular books. A child development specialist the mom of four offers inspiring suggestions for giving our homeschooling a creative boost during those times when we feel as if we're running out of steam and good ideas. Advice and encouraging words from a family that has completed the homeschool journey. An essay from The First Year of Homeschooling Your Child. A respected specialist in cognitive science offers thought provoking insights into the way learning works in children. This popular author and Professor of Child Development explains the realistic educational needs of young children. Surprising evidence helps break the myth that you need special training to be able to teach your children. Some challenging perceptions and observations about what homeschoolers really want to accomplish with homeschooling. A practical description of the how simple it can be to do fun and successful unit studies with a child's lead. A thoughtful look at the way learning occurs in the home of the publishers of Home Education Magazine. My Journey from Teaching to Homeschooling, by Pat Seddon. A former teacher describes the process that brought her to the decision to leave the classroom and homeschool her own children. What do you need to teach your children? This thought-provoking article takes a unique and delightful look at that question. A homeschooling father and Professor of English and Humanities addresses some of the "psychological" and "spiritual" concerns raised by this question. The nature of learning and how it applies to homeschooling. An examination of the nature of the realities and complexities behind the labels. 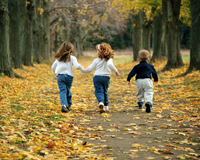 Comforting insights on finding your family's path for the homeschooling journey. A mom pokes fun at her own efforts to arrive at the right way of homeschooling, and offers valuable insight. A mom's fun fantasy of a turned around radio interview, with a nice twist on the "Socialization" question! A response to the often heard comment, "Oh, I could never do that." How difficult is homeschooling? Inspiring excerpts from Linda's book, The First Year of Homeschooling Your Child. Encouraging story from a mom whose son is just now budding on his own as a "late" reader. An extensive resource guide to practical ways of getting to the joy and fascination in math - complete with resource suggestions and annotated links to many delightful web sites. Ways kids can learn math from everyday life in fun and meaningful ways. An excerpt from an excellent book, this article provides an enlightening and humorous look at effective ways to lead kids into the appreciation of math as an important and enjoyable part of life. This fascinating book excerpt explains how math can be mastered in an astoundingly short time when the time and conditions are right. Confession Time, by Tammy Cardwell. The mom of a son now successfully attending college comes to surprising realizations of what actually occurred during their homeschooling years. Wes Beach points out the profound natural differences between people, and offers some thought provoking observations about what can best lead to becoming confident, autonomous, and self-aware. Surprising and amusing 20/20 hindsight on the value of great learning materials and classes. A grandmother recalls her own rich education outside of school, and makes observations about marvelous ways homeschooling can provide the same. A popular homeschooling author and mom of four homeschooled kids, now adults, shares her memories of the most precious things about homeschooling. A child development specialist offers a wonderfully reassuring discussion of reading readiness, timing, and the art of fostering a love of reading. A conversation between Nancy, an unschooler, and a friend, a young mom starting to homeschool. A mom's reflections on the unique delights of homeschooling camping adventures. Deciding to homeschool can bring about a freeing, euphoric kind of feeling, often followed by the panic of "Oh no, what do I do now?" Here are some tips for getting through the "Oh no!" stage. A thought-provoking perspective on the brighter side of television. Thoughts from pioneering homeschoolers on the nature of homeschooling vs traditional classroom. This excerpt from The Beginner's Guide to Homeschooling offers some helpful advice on the basics of getting started. The author of a popular book on family rituals describes how some rituals can actually teach practical skills. A personal account of one family's experience with vision skill deficiencies and the information they found about how to easily overcome this often undetected condition. The fascinating nature of dyslexia, and how it can be controlled to advantage. Notes on Dyslexia, by Karen Pennebaker. Mom to a dyslexic son, and grandmother to a dyslexic grandaughter, Karen shares fascinating information about dyslexia, as well as tidbits about other learning issues. A mom describes the practicalities of a lifestyle that instills a love of learning in her children (from a Christian perspective). A guide to sorting out helpful vs. poor quality products and services. Copyright 2009 BestHomeschooling.org. All rights reserved. Please feel free to link to this site, BestHomeschooling. org, but do not copy material and/or reproduce or distribute it in any way without permission. Authors of articles retain the rights to their own articles which may not be reproduced without their permission.